A new bathroom in 3 easy steps! Call or request an estimate to learn more about the available solutions for your bathroom transformation. An experienced estimator will visit your home to help you determine the specific look and products you want in your bathroom transformation. 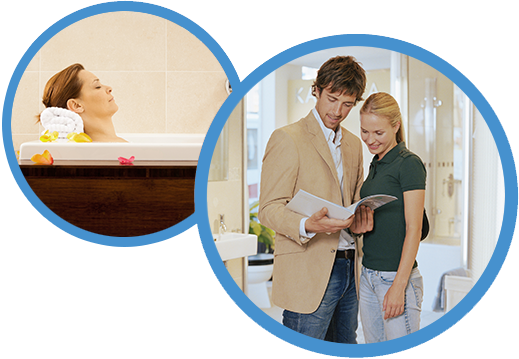 We will help finalize the bathroom of your choice that meets your particular budget. On your chosen date, your professional installer will beautify your bathroom with the design and products you selected. You can expect your home to be treated with respect and care and the installer to be fully equipped with all the tools and supplies needed. Once completed, enjoy your new bathroom transformation!